If you like to keep in stock a couple set of equipments in stock like me . I suggest that you all level them up one time to make it easier to quickly isolate new loots to sell. I wasted too much time clicking on each item to see what it is when I need to clear space. My quick 2 cents of the day. I already level up gear a few levels that I know I want to keep long-term so it’s harder to sell accidentally (like most 6-star equipment). I never thought to level up gear that I keep just in case I might need it though (like duplicate items from multiple sets when equipping multiple mages optimally). It’s almost perfect. Some items I’ve used, leveled up a lot, and know I want to keep or might want to keep are in my inventory too. Dizzying. P.S. 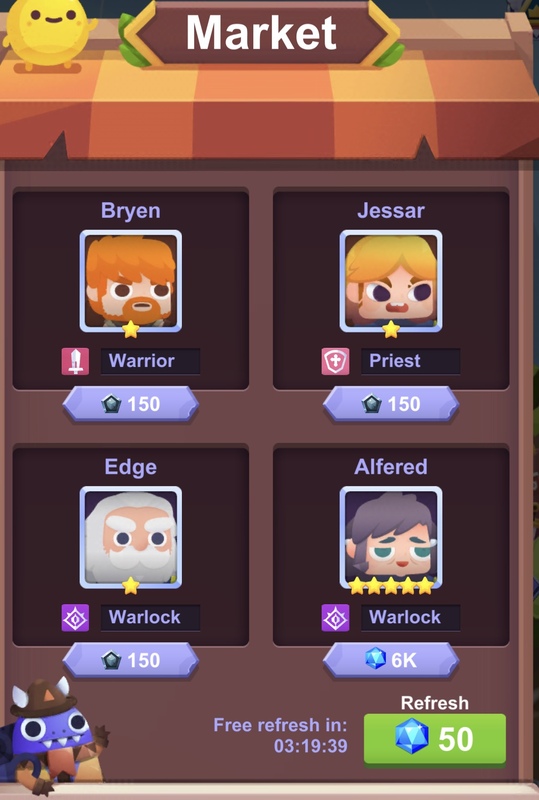 Now if I could just figure out how to level up 6-star Warlock gear to level 3 when I don’t have a Warlock. Both Edge and Alfered are taunting me at full price right now. The good news is that I did snag that 1-star rogue Kaylee at a discount recently. The bad news is that since Kaylee is my 9th hero, Kaylee is my entire Group 3 team in Dark Rush. I’m still expecting great things from this level 1 hero with nothing equipped yet!